The principality of Monaco, located to the East of the French Riviera, is a small city state that borders France. It is the second-smallest country in the world — just after Vatican City — but has the highest number of millionaire inhabitants. However, a trip to Monaco doesn’t have to be expensive, as it’s perfect for a day trip, owing to the fact it’s close to many other French Riviera resorts, and small enough to be explored in a couple of hours. 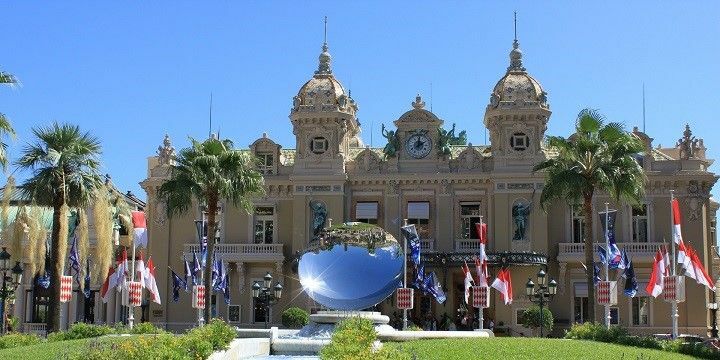 Start your sightseeing tour at the Place du Casino in Monte Carlo, where you’ll find the glamorous Casino de Monte Carlo, which is featured in movies like James Bond’s Never Say Never Again and Golden Eye. Part of the casino is the Opéra de Monte Carlo, also called Salle Garnier, after its architect, Charles Garnier. In the same square, you’ll also find the famous five-star Hôtel de Paris and the Café de Paris, one of the many brasserie-style bistros with a large outdoor terrace. The Casino de Monte Carlo is featured in James Bond movies. A windy street will take you from the Place du Casino down to the port, famous for its impressive yachts. This is also the location of the Circuit of Monaco — the world-renowned Monaco Grand Prix racing track —, which passes through the Monte Carlo and La Condamine quarters. The track is 3,337 meters long and, thanks to its tight corners, one of the world’s most dangerous Formula 1 tracks. If you’re after tranquility, head to the calmer area of Monaco Ville, where you’ll find relaxed cafés and shops, with beautiful sea views, perfect for a break from the Monte Carlo madness. Additional spots for some peace and quiet are the small gardens of Le Jardin Japonais, Le Jardin Exotique de Monaco, or Les Jardins de Saint-Martin. 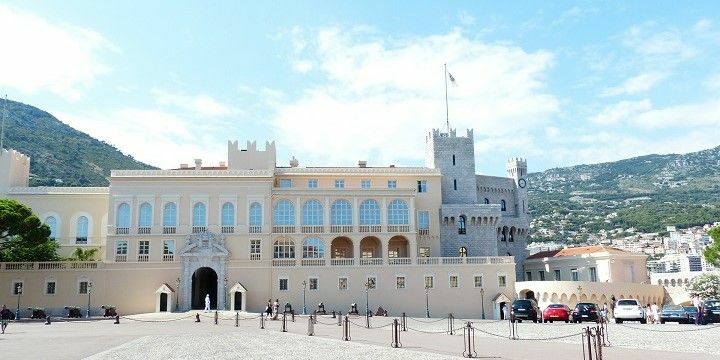 The latter is only a 15-minute walk away from the Prince’s Palace of Monaco: a 12th century fortress, and the official residence of the Sovereign Prince of Monaco. The Prince’s Palace of Monaco dates back to the 12th century. Monaco’s main beach, Plage du Larvotto, is the only public beach in the area (although it also has some private parts) and is therefore very popular among locals and tourists alike. Private beach spots include the famous Nikki Beach at Fairmont Monte Carlo — frequently visited by the French high-society and international celebrities — or Plage Marquet, which is located a little further outside of the city. If you’re after something a little more luxurious, head to one of Monaco’s most exclusive spots, Monte Carlo Bay. Many beach clubs turn into glamorous party venues after sunset. It’s easy to splash your cash in one of the city state’s hotspots, but maybe you’ll be lucky and win back your losses in the casinos! Monaco has a very lively nightlife. If you are looking to experience some of Monaco’s culture, consider attending one of the national Philharmonic Orchestra’s concerts, or visiting the Theatre du Fort Antoine. If NextStop24 helped you to choose your next travel destination, we'd be very grateful if you’d search for your accommodation and things to do in Monaco through these links. They're affiliate links, which means that we will receive a small commission for every booking made through them. There are no extra costs for you; you'll simply be helping to keep NextStop24 running. Thanks! I only stayed in Monaco for two nights and I was glad as there is really not a lot to do and everything is just so expensive. If you really want to see it, go on a day trip but I wouldn't spend money on a hotel.